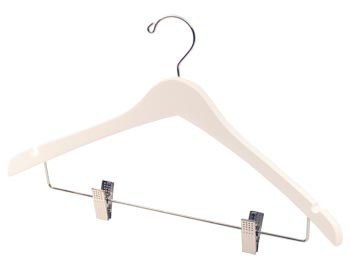 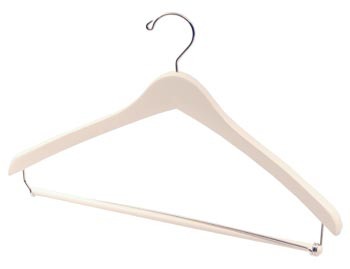 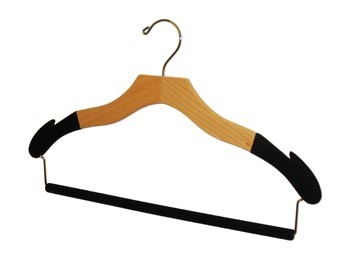 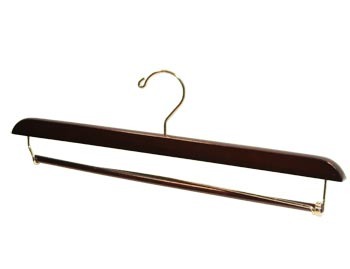 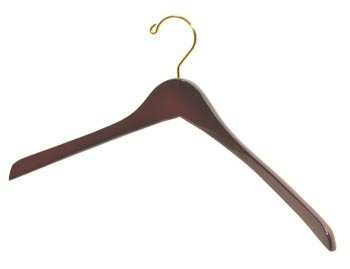 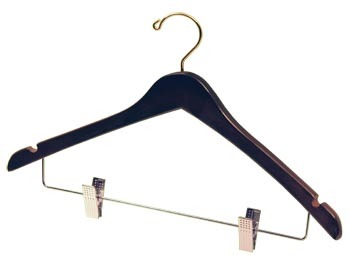 These Natural Hardwood Bottom Hangers are 14 inches in length, Brown in color and are available to buy in bulk order quantities of 100 clothing hangers. 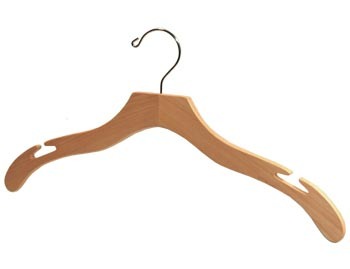 Simply add the number of full clothing hanger boxes that you wish to order to your cart and your bulk savings will be displayed under "Volume Discount" on the next page. 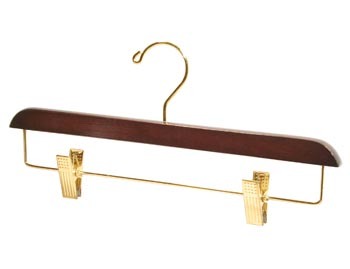 Wholesale Orders for the Wooden Bottom Hanger - Walnut Brown with Brass Clips (model no: 46-NS-W/B ) are available for larger quantities.